For his Nov 7 Terraza concert titled ‘Guitar Mayhem’, Prasanna brings in Rock guitar legend and multi-Grammy award winning artist Vernon Reid as a featured guest and sets up the stage for a shred fest blending Heavy Metal, Hard Rock and Indian carnatic and film music. Best known for his work with the band Living Colour, Vernon has also performed with such icons as Mick Jagger, Janet Jackson, Public Enemy, Jack Bruce and others. Steve Jenkins is one of the most in-demand young bassists today. 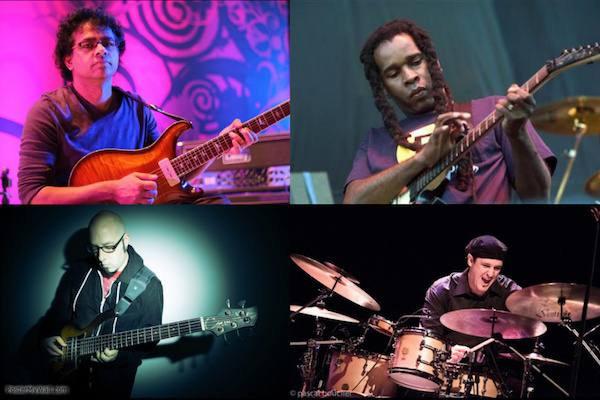 He is known for his work with so many innovative guitarists such as John Scofield, Vernon Reid, Prasanna, Dave Fiuczynski, Jeff ‘Skunk’ Baxter, David Gilmore and others – an obvious bass choice for this Guitar Mayhem show. Mauricio Zottarelli has been a major league drummer for a few years now thanks to his amazing range of work with artists such as Dave Grusin, Joe Lovano, Hiromi, Esperanza Spalding, Prasanna, Richard Bona, Eliane Elias, Paquito D’Rivera, Dom Salvador and many others. The music will range from Prasanna originals to new interpretations of classics from Metallica, Illayaraja, Led Zeppelin and more. No Replies to ""Guitar Mayhem""